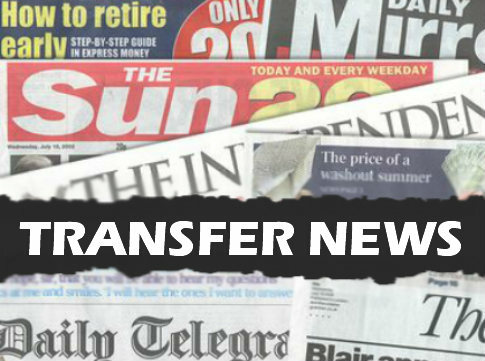 Despite the transfer window being closed there is still plenty of gossip doing the rounds in the newspapers so we’ll keep you up-to-date with the latest transfer rumours. Today, Liverpool and Manchester United face a fight to land Jackson Martinez. Liverpool and Manchester United will have to fight off interest from Juventus and AC Milan to land Porto striker Jackson Martinez this summer, according to talkSPORT. The Colombian hitman has been in sensational form since joining Porto from Mexican outfit Jaguares last summer, scoring 31 goals in just 34 appearances in all competitions so far this season, making him one of the hottest properties in European football. It seems his form hasn’t gone unnoticed in England with talkSPORT claiming that Liverpool and Manchester United are both keeping a close eye on the 26-year-old, with Sir Alex Ferguson and Brendan Rodgers both understood to be keen on bolstering their striking options this summer. However, the Premier League duo may have to move quickly if they want to land the talented striker with the report suggesting that Italian giants Juventus and AC Milan are also lining up moves to lure him to Serie A.
Martinez has also cemented his place in the Colombian national team set-up this year and forms a devastating partnership with Radamel Falcao up front, but Liverpool and United may have to dig deep if they’re to land the player with talkSPORT claiming he has a €40m release clause in his contract. Do Liverpool and Man Utd fans think Martinez would be a good signing this summer? Get involved in the comments section below.